Intel has today launched their six-core workstation and server processors. 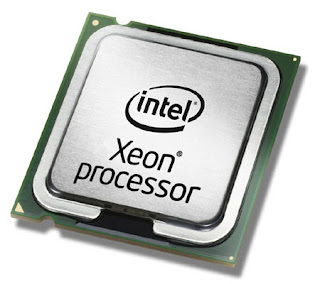 The Xeon 5600 series has been made on the same 32 nanometer process as the Core i7-980X and give more performance without consuming more power as a result. Performance gains range from 10 percent in single tasks that don't use the extra two cores to as much as 60 percent for heavily threaded apps, but even the flagship, 3.33GHz X5680 consumes the same 130W as its predecessor. The X5680 and other 32nm Xeons launched today are considered more secure and support both hardware AES encryption as well as Trusted Execution to prevent rogue code or privacy breaches without draining away performance. Like most other 32nm chips, they support Turbo Boost to overclock to as much as 3.6GHz (again on the X5680) and Hyperthreading that lets a single six-core chip behave like a 12-core part under optimized conditions.